Crazy Vegas Casino shut its doors on April 26th 2018 and will no longer be available for players. Crazy Vegas casino is a popular gambling destination for Canadians. This Casino as a member of the Vegas Partner Lounge, ensures that their patrons experience nothing but the very best in virtual gaming. The casino offers players big cash jackpots, quick payouts and a variety of action packed games. Many of the games of this Microgaming casino can be played on both desktop and mobile formats. The entire site is also available on iPhone and Android platforms so you can play anywhere and at any time. Crazy Vegas Casino is licensed by the government of Malta. Players can choose from over six hundred exciting casino games including slots, video poker, roulette, blackjack games and progressive jackpots. Crazy Vegas is not just about fun and exciting games but also is evidence of the latest Canadian and international winners. The Microgaming slots include some of the most well-known slots on the web, including massive progressives like Mega Moolah and The Dark Knight. There are also dozens of stunning video slots including Jurassic Park, Game of Thrones, Thunderstruck II, and Immortal Romance. Crazy Vegas Casino also takes table games and video pokers seriously. Therefore, players can indulge in multiple blackjack variants like Double Exposure Blackjack Gold, Classic Blackjack Gold, and Atlantic City Blackjack Gold. Roulette players can pick their lucky numbers with games like French Roulette, European Roulette Gold, and Multi Player Roulette. Other games include Baccarat Gold, Vegas Craps, and Sic Bo. Poker fans have several exciting video poker games to play including Hold’Em High Gold, Caribbean Draw Poker Gold, and 3 Card Poker Gold. Crazy Vegas Mobile Casino gives you the opportunity to Go Mobile and enjoy the best gaming entertainment on your phone or tablet. Their mobile app has been designed specifically for those who have an on-the-go lifestyle and don’t have time to sit on computers. The Mobile Casino support Apple (IOS), Android, Blackberry and all Windows devices. New players are eligible to receive a three deposit welcome bonus worth up to $500 free. 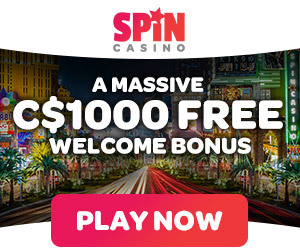 You get a 100% bonus on your first deposit worth up to $150 free, then a 200% bonus on your second deposit worth up to $100 free, and finally a 50% bonus worth up to $250 free. Players are also offered loyalty points from the moment they make their first real money wager. The longer you play in the casino, the more you can earn and once enough are accumulated, the loyalty points can be redeemed for real cash. Also, there are weekly, monthly and random rewards for loyal players at Crazy Vegas. Crazy Vegas, like the real Las Vegas, is an international destination. Canadian players will therefore be pleased that French, as well as English, is one of the supported languages. Also, the casino not only accepts CAD (along with USD, AUD, EUR, and GBP) as currency for your deposits and withdrawals, but you can also play in your own currency. Making your deposit into the casino is simple as Crazy Vegas uses the classic Microgaming cashier. The availability of methods will depend on player’s location but the most popular methods such as Visa, MasterCard, Instadebit, EcoCard, Moneybookers, Neteller and Paysafecard are accepted. Limits may also differ between methods as well. There are multiple currencies also available including CAD, USD, GBP and EURO. Crazy Vegas Casino makes customer support one of its top priorities. The site offers 24/7 Customer service via live chat, e-mail and toll-free phones. Within moments you will be directly connected to a friendly Customer Support representative that will be eager to help you out. There is also a set of FAQ that can answer your questions also. ← What online casino accepts Paypal in Canada?